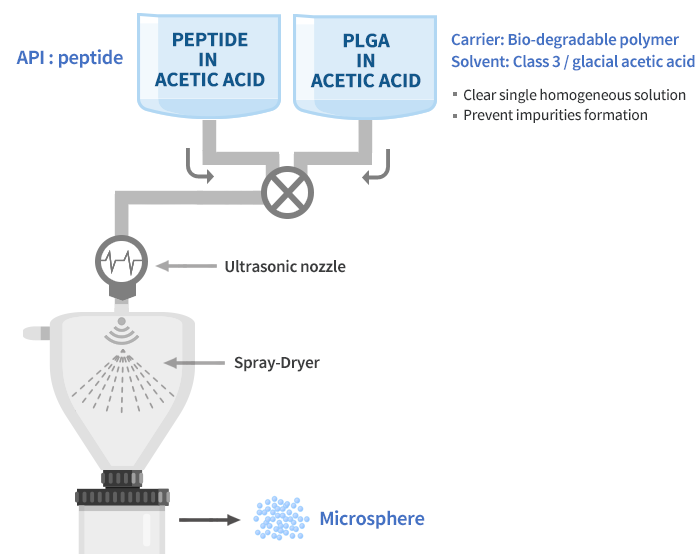 SmartDepot™ is Peptron’s proprietary ultrasonic spray drying technology for the preparation of sustained release (SR) injectable microsphere formulation. This long-acting technology has increased interest by global pharmaceutical companies since the costs for developing new medicines are soaring and patent expirations of many blockbuster drugs. This technology is highly applicable to various peptide and small molecule drug and does not include any chemical modifications, the risks and uncertainties are vastly reduced compared with new drug development. SmartDepot™ is a unique technology designed for gradual release of medication. After a single dose of injected medication, it is released gradually through a specific period of time. If applied to various peptide-based or small molecule medicines, injectable once or multiple times per day, SmartDepot™ will significantly increase patient’s convenience and treatment effect. In addition, it will also extend the life cycle of the products and keep their competitive advantages for longer periods. SmartDepot™ is formulation technology featuring various release profiles from 1 week to 6 months, showing high production yield, enabling mass production, and differentiated from existing SR technology. Generally, current available long acting technologies are classified 2 groups as sustained release systems which can release drugs longer than one week and chemical modifications of peptide itself to increase stability. How does SmartDepot™ manufacturing look like? SmartDepot™ is the world first technology adopting the ultrasonic spray drying process, facilitating the production of uniformly sized microspheres. In addition, this particle size can be easily controlled. Therefore, this technology enables reproducible batch production and has great merits in mass production. 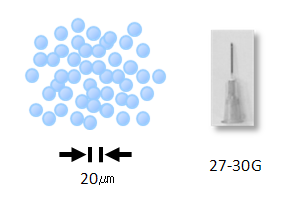 1 SmartDepot™ has better syringeability when it suspended because it has homogeneous and smaller sized microspheres. Also, particle size is controlled easily through frequency control of ultrasonic nozzle. So SmartDepot™ formulation is able to use 27 - 30G needle while competitors using 23 - 25G ones. 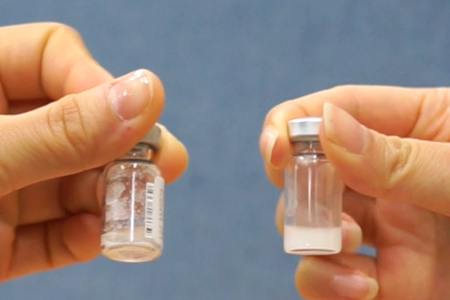 2 SmartDepot™ has better suspendability when it is reconstitute and it takes only less than 10 seconds . Also, suspended microsphere keep staying as suspended after reconstitution and before injection. 3 SmartDepot™ doesn’t use toxic organic solvents (e.g., methylene chloride, N-methylpyrrolidone, methanol) during manufacturing process so risk of residual toxicity is simply avoided.